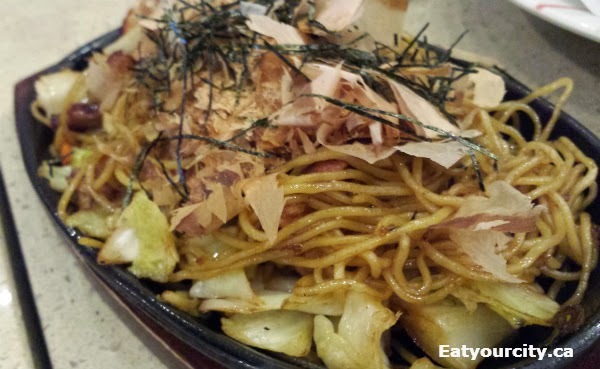 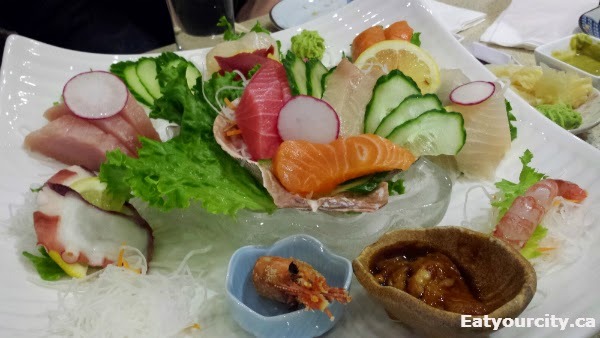 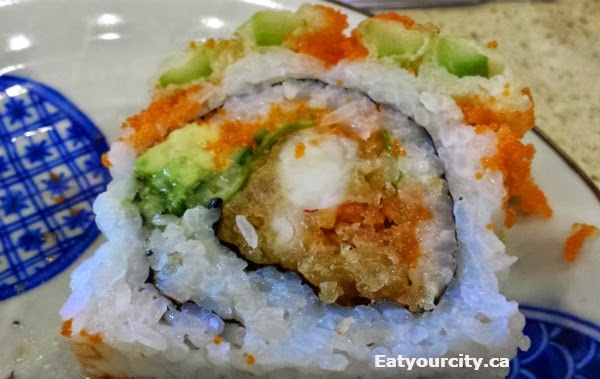 Eat Your City: Misato Sushi and Grill - back again for tasty Japanese supper! 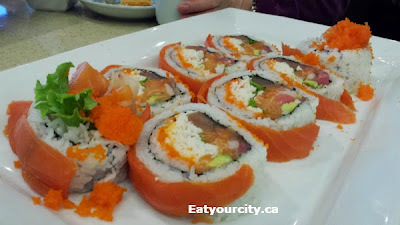 Misato Sushi and Grill - back again for tasty Japanese supper! 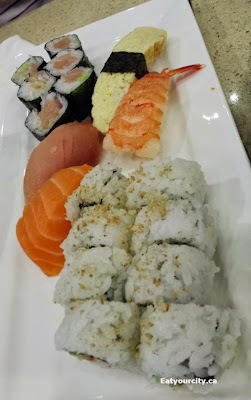 Posted by While down in Calgary, we hit up Misato again for a quick Japanese dinner (see previous review here) We went with the favorites and tried a few new dishes too. And we didn't forget about the yummy lobster roll... onto the food! 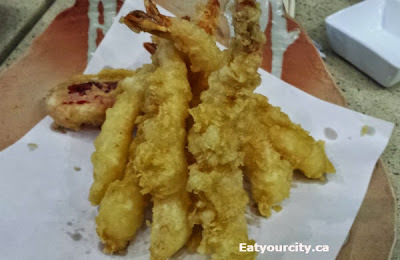 We started off the Shrimp Tempura - with its crunchy crisp batter, these babies disappeared quick. 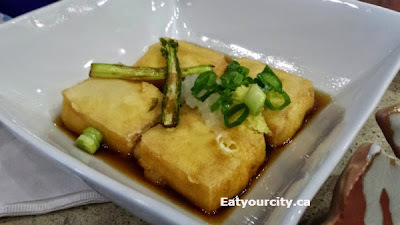 The Agedashi Tofu Deep-fried Tofu Served in a Hot Tentsuyu Broth was lightly deep fried and had a silky interior, served with a tangy unami infused broth... no change from the last time we ate it... yum. 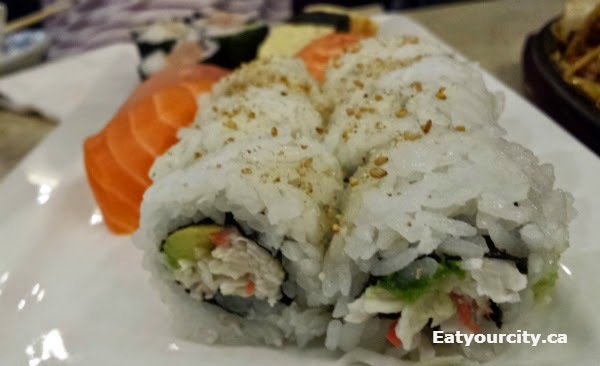 The California Roll Avocado & Imitation Crab Meat with Mayonnaise was run of the mill but none the less tasty. 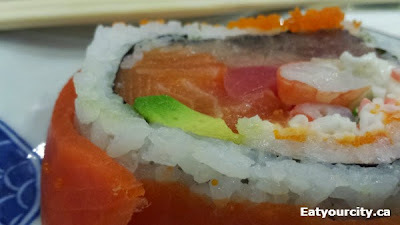 The Mixed Combo had the California Roll, Tekka Maki, Tamago (egg), Tuna, Salmon, and Ebi (shrimp) nigiri sushi. The Tekkamaki was plated with the egg, ebi, salmon and tuna sushi nigiri. 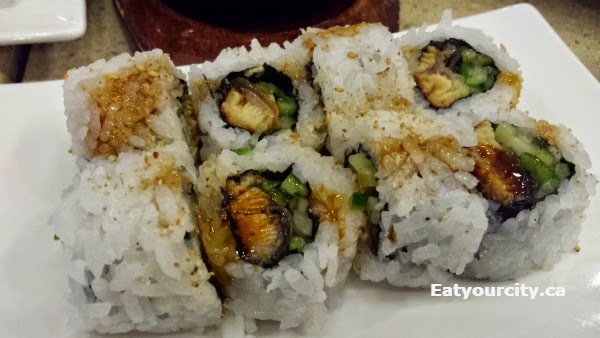 The rice was packed a bit loose but seasoned well. And last but not least, the awesome Lobster Roll. 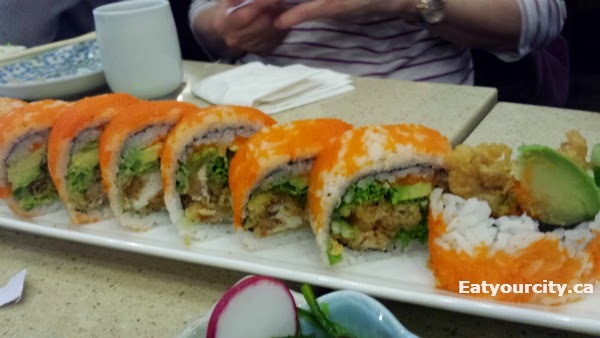 Its not on the menu, so make sure you ask for it - it has a fair sized chunk of deep fried tender sweet lobster surrounded by creamy cool avocado, cucumber, masago, asparagus and its just yumm-o. 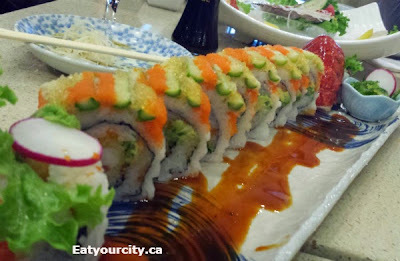 Overall, still a great place for delicious appetizers with the multitude of sushi rolls as the star of the show. 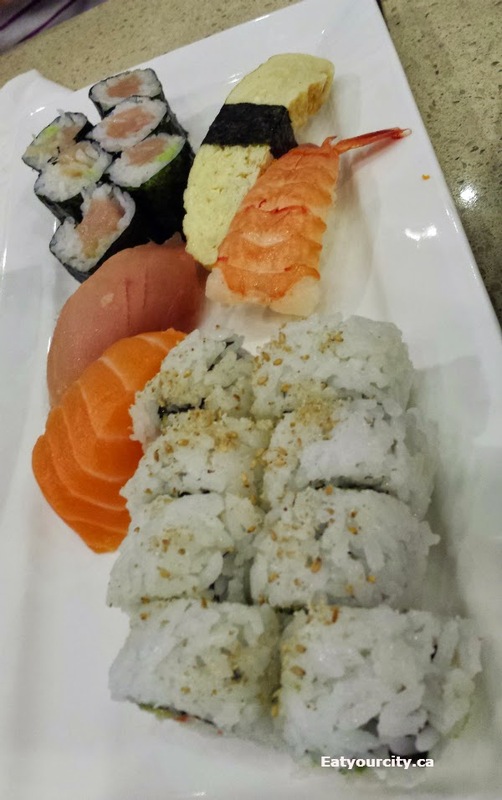 If you see the lobster roll, it is a must try!